The Bajau people of Indonesia can hold their breath under water for a long period of time. Living along the coast, they are known for their extraordinary abilities, diving to depths of over 70 metres with nothing more than spears and a pair of wooden goggles. Melissa Ilardo from the University of Copenhagen lived with and studied the Bajau to know what made these ‘sea nomads’ so adept at diving. She studied the spleen sizes of the Bajau and compared them with Salaun people who live nearby and do not dive. Spleens act as reservoirs of red blood cells (RBCs) which are carriers of oxygen in our bodies. When the body is in an environment with reduced oxygen, the spleen releases RBCs, increasing the oxygen content of blood by around 9 per cent. This helps humans survive oxygen-depleted environments for a bit longer. Ilardo found out that they are the first humans to have genetically adapted to have larger spleens which help them dive deeper and for longer periods of time. Down to Earth spoke to Ilardo about her research which was published in the journal Cell on April 19, 2018. How did you get to know about the Bajau people and their exceptional ability to dive? I first heard of the sea nomads while working on a coral genomics project in Thailand. I heard about their unique lifestyle and their extraordinary abilities, and wanted to learn more. They seemed to represent an interesting opportunity to study natural selection in modern humans because their way of living is so extreme. Were the Bajau and the Saluan people open to be being studied? Did they share information freely? It was important for me to build a relationship with the Bajau and Saluan before asking to study them. I spent my whole first trip to Indonesia getting to know them, introducing myself, and explaining the research I wanted to do. I also spent a lot of time getting to know what kinds of questions they might be interested in. After this visit, they were incredibly receptive to the research and willing to participate in my study. 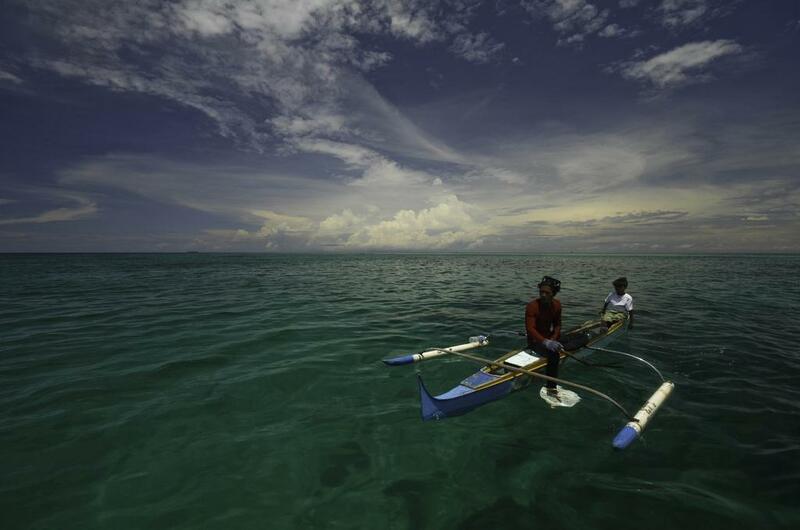 Did the genetic adaptations emerge due to the Bajau's cultural practices? Yes, we found that they have an adaptation related to a gene called PDE10A, which helps in regulating thyroid hormone levels. This, in turn, gives them a larger spleen, which allows them to dive for longer time. The way such an adaptation emerges is that people who carry a particular version of this gene are more likely to survive diving, which can be very dangerous. When they survive, they pass it on to their children. This way, future generations have more copies of this version of the gene. Are there more examples where human culture and biology have co-evolved? Yes, one example is lactose tolerance developed among Europeans. When they began to domesticate and herd cows, they used milk as an important food source. People who were able to tolerate lactose got better nutrition and were able to survive, thus, increasing the number of people who can tolerate lactose. Are genetic adaptations to diving in Bajau similar to Tibetan people’s ability to breathe at high altitudes? The adaptations are in fact different because the nature of physiological stress is different. At high altitudes, people are experiencing chronic hypoxia. In other words, they are living with a level of oxygen that is consistently lower than at sea level. The Bajau are instead experiencing acute hypoxia, which means a sudden drop in oxygen. Therefore, they have developed different adaptations. How can this knowledge of genetic adaptation be applied to medical science? Acute hypoxia is an important issue in several medical fields, including critical care. When people experience acute hypoxia, they respond very differently. It could be that some of the differences in how people respond are due to underlying genetic differences. Our research might help in identifying those differences and better understanding why some individuals respond well and others poorly.